ASHEVILLE- In preparation for the upcoming baseball season at McCormick Field, the Asheville Tourists are hosting a seasonal employment job fair for individuals interested in working at the ballpark. Interviews will take place on Thursday, February 28 from 5:30pm - 7:15pm. 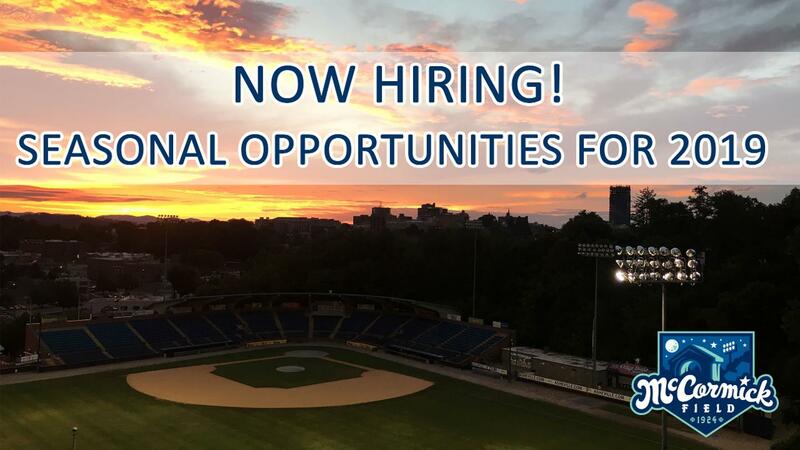 The job fair, for those interested in joining the Tourists operation this season, is being held at McCormick Field. Job openings include positions in the Food and Beverage operation of Professional Sports Catering for Cashiers, Cooks, and In-Seat Service. The Tourists are also interviewing for additional openings in Parking Assistance, Bat Boys/Bat Girls, and the Jade Bombers for crowd engagement. Mascot positions are also available and those interested in a mascot position should plan on attending the job fair. Job applications are available to download online or may be filled out at the ballpark. View more information on the job fair or download an application.